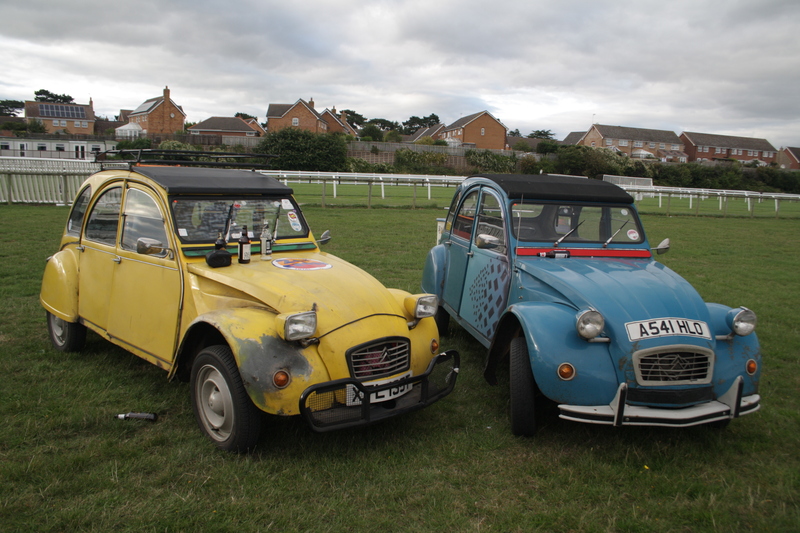 2CV: Decision made after a roadtrip – HubNut – celebrating the average! 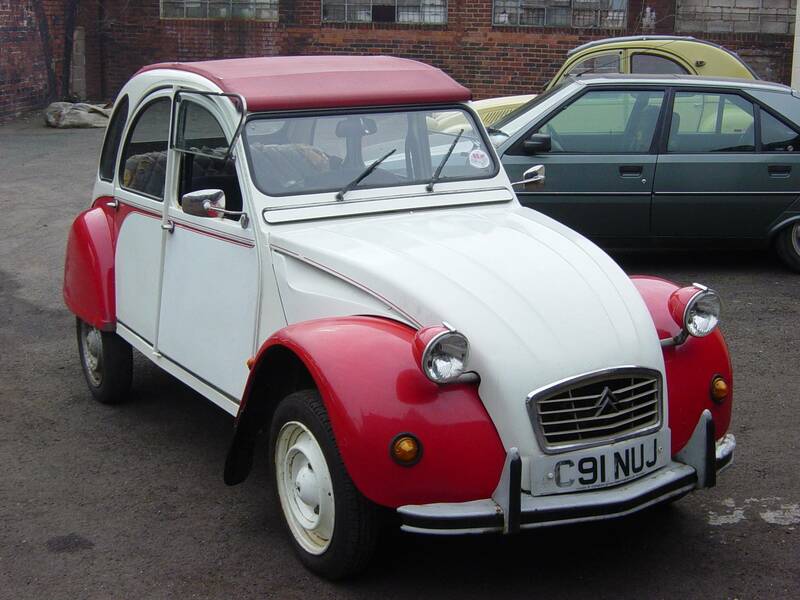 I first hinted in December last year that I might have to get rid of the 2CV. This weekend, I’ve reminded myself why that hasn’t happened yet! 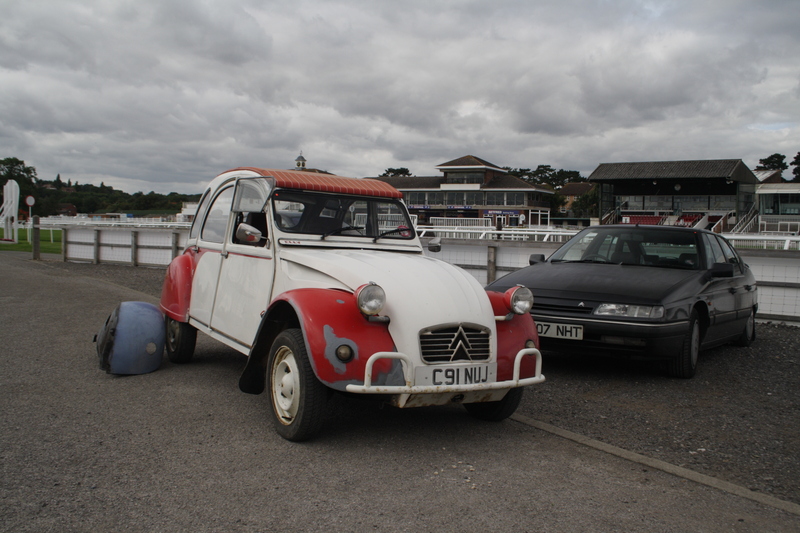 After a barren year for 2CV-related activities, I decided it was time to pack the tent and actually drive my 2CV to a field – in this case Stratford-upon-Avon Racecourse, where the Citroen Car Club was holdings its annual Midlands-Section rally. The thought of meeting up with a group of 2CV chums (who hadn’t attended the previous year) was truly exciting. I loaded the 2CV with my feeble camping gear and headed off. On the way, a milestone was reached! I got to the event and began selling a few body panels so I could pay for camping. The show was a little on the small side, but most Citroen groups were well represented. I’ll do a little show report at some point once I feel less shattered! Sharing a camping field with other scruffy 2CVs made me feel a lot better though. Proof that cars don’t have to look like show winners. In fact, I was greatly impressed with how fabulous and used the other 2CVs looked. Especially Neil’s yellow one, which travelled up all the way from Cornwall! It’s wonderful to see 2CVs looking like they get plenty of use. It was an important reminder that there’s an awful lot more to cars than looking shiny! This pair tell a story with their odd paint finishes, dinked panels and crusty areas. Proof that age is not a bad thing, despite what TV ads try to tell us! The 220-mile round trip certainly gave me a lot of time to think about my 2CV. I’ve already made the mistake of a full cosmetic overhaul. I won’t be doing it again. I bemoaned how scruffy she looked back in 2003, after her bodyshell had been thoroughly restored but looking back, I should have celebrated her looks! Stunning as she was after a complete rebuild, there was only one way for her looks to go after that. Downhill. Elly after the first rebuild in 2003. Scruffy, but solid! So, I shall focus on getting her solid again. I’m not sure how, and the tutting and sucking-through-teeth as my friends examined Elly’s rust-riddled bodyshell hint that major expense is needed. I will do it though. Elly must ride again! After all, if she can go 100,000 miles between rebuilds, that’s not so bad really is it?